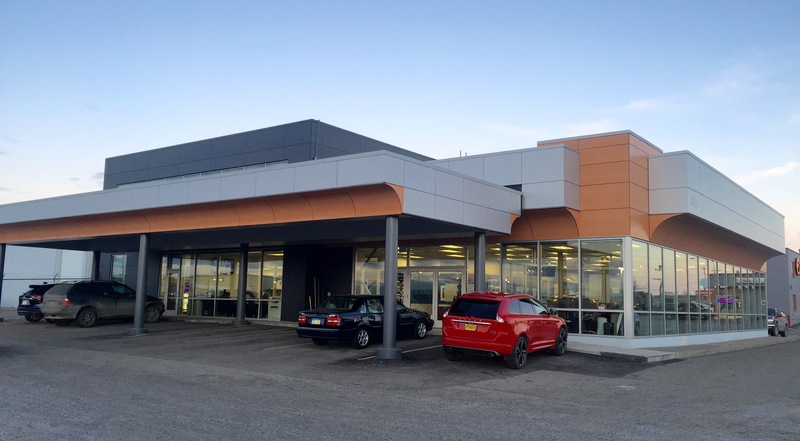 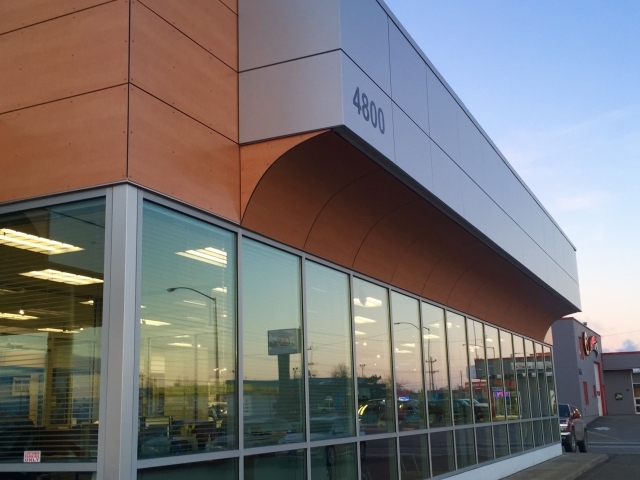 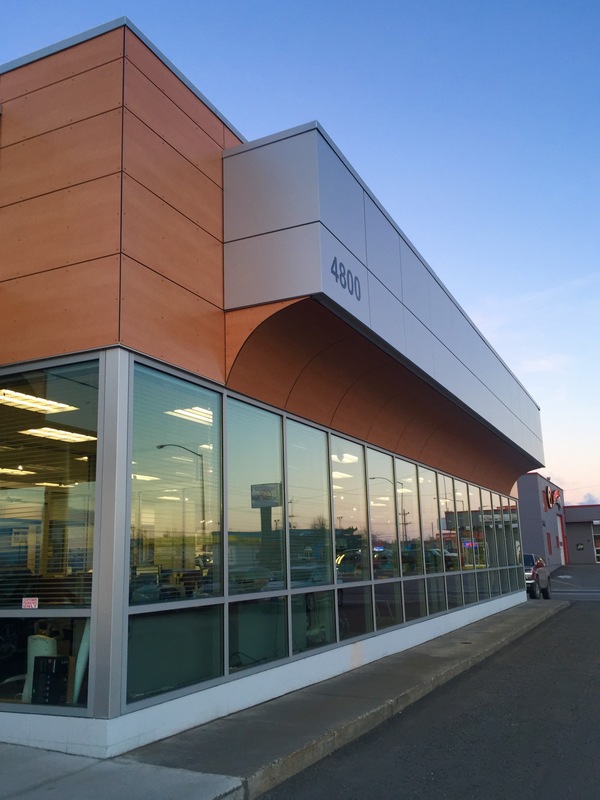 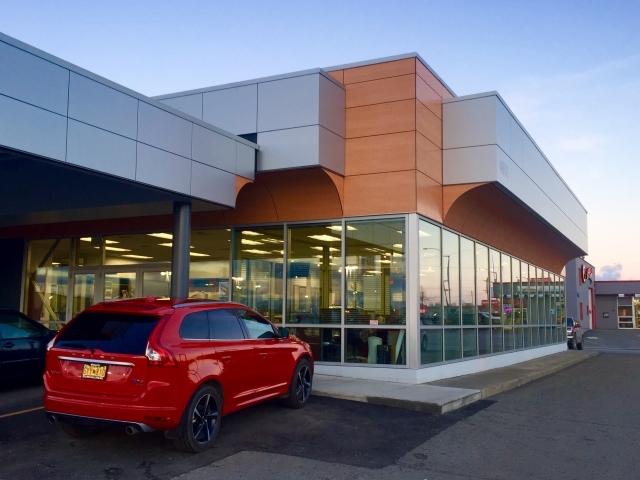 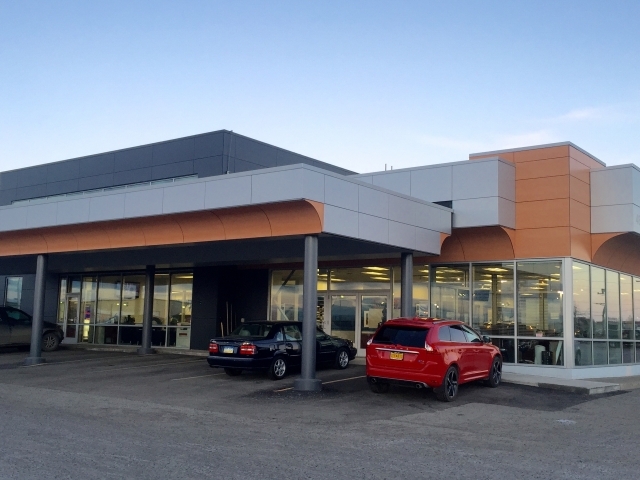 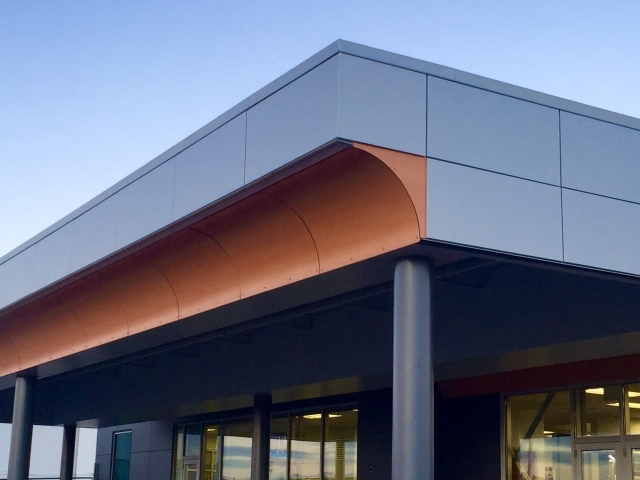 Locally owned Continental Mazda/Volvo building was in need of an update to keep pace with the modernizing of Auto Dealerships across the country. 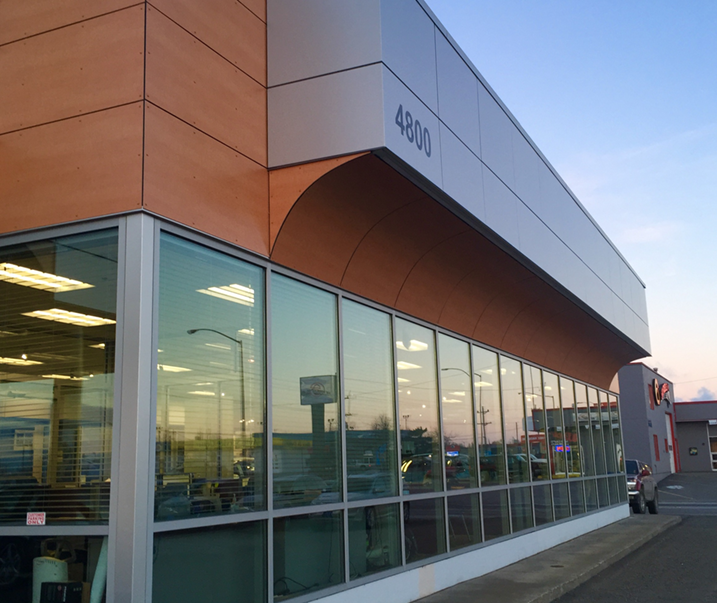 The architect combined both contemporary looking ACM panels with wood grain ACM panels to bring some warmth and contrast to the building cladding system. 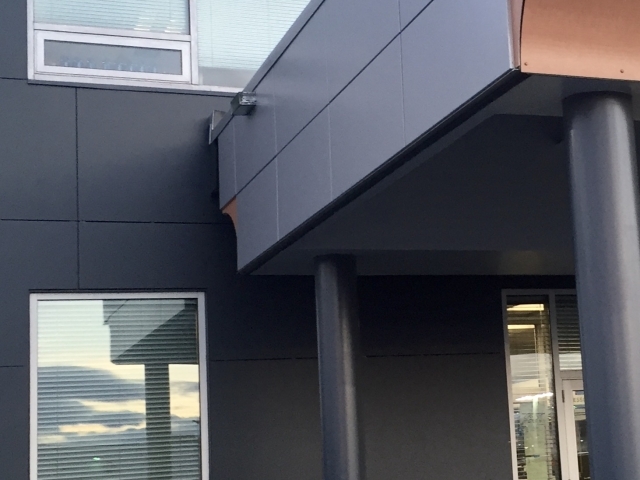 The background taller portion of the building they utilized Stonewood resin panels which provides a nice contemporary modular look in a dark grey color which helps to highlight the ACM panels at perimeter of building.